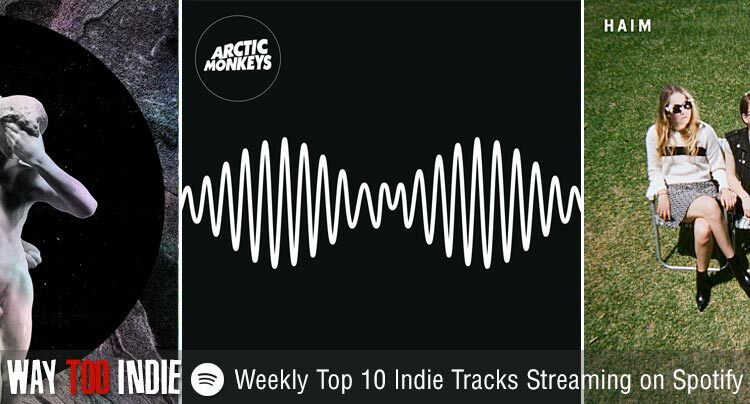 Each week we bring you the current Top 10 indie tracks streaming on Spotify to help you create the perfect workweek playlist. Well, well, well. Artic Monkeys are still locked in this week with “Do I Wanna Know?” at our number one position with Arcade Fire’s “Reflektor” holding strong in the number two slot. “The Wire” (Haim) has snuck back into the Top 3 again this week and “Forever” (also Haim) is back in our Top 10 this week after falling off the list last week. There are however two new comers to our Top 10 this week; Foals with “My Number” and Two Door Cinema Club with “Changing Of The Seasons”.